A group of Presque Isle High School students is getting a rare glimpse into the world of science and college-level research thanks to a unique collaboration between the high school’s Science Department and the University of Maine at Presque Isle’s Biology Program. Six PIHS students are working with three UMPI Biology faculty members on three different science projects. Each research project will be transformed into a poster presentation that students will deliver during the Maine State Science Fair—which is part of the larger Maine Science Festival being held March 18-20 in Bangor. The Maine State Science Fair will take place on Saturday, March 19 from 9 a.m. to 3 p.m. at the Cross Insurance Center. The science fair is free and open to all ages. The projects the faculty and students are completing range from antibiotic-resistant genes to honeybee digestion to local climate impact on bird species. Seniors Samuel Gray and Madison Postell are working with Dr. Larry Feinstein, UMPI Assistant Professor of Biology, on a project that involves using PCR to identify various antibiotic-resistant genes in different pathogens. PCR (Polymerase Chain Reaction) is a tool used to amplify a small sample of DNA which can then be used to identify specific types of bacteria and viruses, among many other uses. Juniors Noah Garrison and Victoria Williamson are working on a project with Dr. Feinstein and Dr. Scott Dobrin, UMPI Assistant Professor of Biology, on a project that involves using PCR to examine the microbiome of the honeybee gut. Seniors Alyssa Sweeney and Kellsey Michaud are working on a project with Dr. Jason Johnston, UMPI Associate Professor of Wildlife Ecology, that involves analyzing data that tracks the first appearance of more than 30 different bird species over the past 30 years. The team will be looking for trends and attempting to correlate them to changes in local climate. This partnership was able to happen because of the already existing relationship between the high school and the University, and is being funded through a fellowship that Dr. Carson Dobrin received from the Maine Mathematics and Science Alliance and the Jackson Laboratory aimed at increasing participation in the science fair across the state. 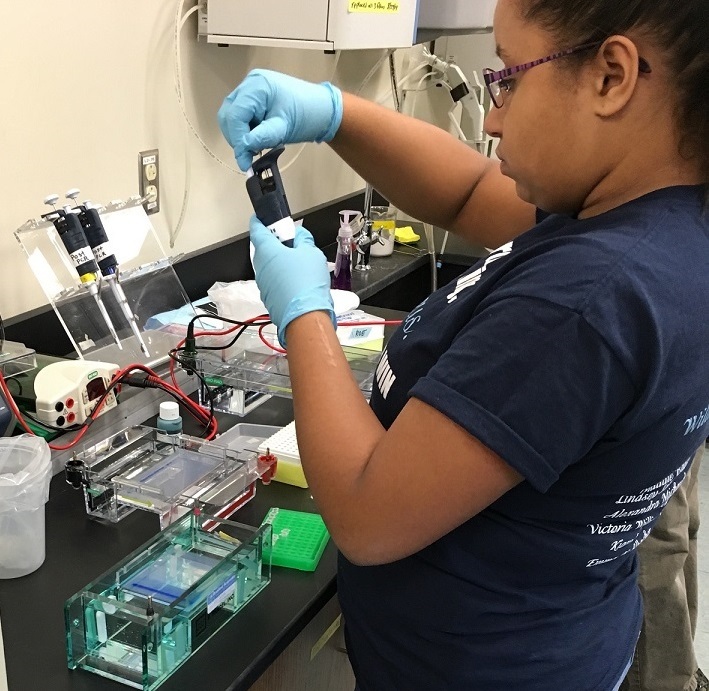 The University/high school collaborations are also providing an opportunity for UMPI students to get involved in the various projects and learn how to engage high schoolers in scientific research. 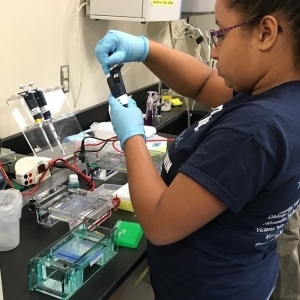 “We hope to turn this into a program where high school students and undergraduates work intensively together on projects over the summer—and during the school year—in order to get a really hands-on and rewarding research experience that will benefit them as they prepare for college and the career field, respectively,” Dr. Scott Dobrin said.